At its height, the Dada movement not only upended European art, it also brought that tradition into unprecedented dialogue with non-European forms of expression. 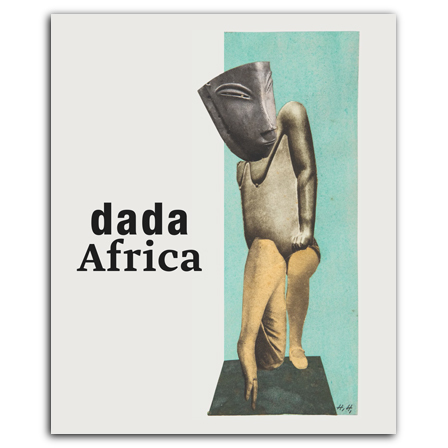 This book offers the first extended analysis of Dada’s exploration of non-Western art and culture. Richly illustrated essays present close analyses of artifacts from Africa, Asia, and Oceania in the context of Dada and through an ethnological lens. Contributors also investigate the ways in which the influence of Dada can be seen in postcolonial discourse and in the context of cultural transfer. Featuring works by Jean Arp, Hugo Ball, George Grosz, Raoul Hausmann, Hannah Höch, Man Ray, Sophie Taeuber-Arp, Tristan Tzara, and many other artists, this is a major work that will enable a broad rethinking of Dada’s aims and achievements. With essays by Johannes Beltz, Jody Blake, Peter Bolz, Ralf Burmeister, Uwe Fleckner, Nanina Guyer, Christian Kaufmann, Walburga Krupp, Axel Langer, Alexis Malefakis, François Mottas, Michaela Oberhofer, Valentine Plisinier, Kathryn Smith, Hélène Thiérard, Esther Tisa Francini, Khanh Trinh, Mona de Weerdt, Michael White, and Roger Van Wyk. The book is published in conjunction with exhibitions at Museum Rietberg Zürich and Berlinische Galerie, Berlin in spring and summer 2016. Designed by Jacqueline Schöb, Museum Rietberg. Winner of International Tribal Art Book Prize (PILAT) 2016.
is a scholar of Indian and Religious Studies. He is deputy director of Museum Rietberg Zürich and the museum's curator for Indian and South-East Asian art. is curator of the Tobin Collection of Theatre Arts at McNay Art Museum in San Antonio, TX. Previously she taught as a Professor of Art History at Bucknell University in Lewisburg, PA.
has been curator of the collection of American Art at Berlin's Ethnological Museum 1989–2012. He has published widely on art and culture of North America's native people. studied Art History and German Literature and has been a curator at Berlinische Galerie in Berlin since 2005. He has published widely on the topic of Dada. is a Professor of Art History at Universität Hamburg and member of the Board of Directors of Warburg-House in Hamburg. is a research and curatorial assistant for African art at Museum Rietberg Zürich. is a freelance curator and specialist in art from Oceania and Australia, and a honorary research associate at the Sainsbury Research Unit of the University of East Anglia in Norwich, UK. , born 1959, studied German literature and linguistics, Jewish studies, art history, and philosophy at the universities of Bonn and Cologne. She obtained her PhD with a dissertation on Sophie Taeuber-Arp. She has been curator at Stiftung Hans Arp & Sophie Taeuber-Arp in Rolandseck, Germany, 1990–2012 and a scientific collaborator for the edition of Sophie Taeuber-Arp's letters since 2014.
, read art history, musicology, and modern German literature. He has been curator of Near Eastern art at Museum Rietberg in Zürich since 2007.
is curator of African art at University of Zürich's Ethnographic Museum..
has been a lecturer and research assistant at Université de Lausanne. He has curated various exhibitions of African art. is a scholar of art history and a freelance curator and writer. She has published on photography of non-European art. is an artist and has been co-curator of the exhibition Dada South? Experimentation, Radicalism and Resistance at Iziko South African National Gallery, Cape Town (2009-10). , born 1982, is a French scholar of German literature and linguistics and a translator. She reseraches on 20th-century experimental writing and avant-garde and has obtained her PhD degree with a dissertation on Raoul Haussmann. studied history and works as a research assistant at Museum Rietberg, where she is also in charge of provenance research. is curator of Japanese art at Museum Rietberg Zürich. is a freelance curator and exhibition designer. He has been co-curator of the exhibition Dada South? Experimentation, Radicalism and Resistance at Iziko South African National Gallery, Cape Town (2009-10). has been a research assistant at University of Bern's Institute of Theatre Studies 2012-15. She currently pursues the Monte Dada reserach project on the heritage of dance culture.